Guangzhou CNF Truck Parts Co., Ltd. is a professional manufacturer of slack adjusters, located in Guangzhou City, South of China. We have over 20 years of manufacturing experience with strong technical strength. We have a wide range of product series, such as ABA-1, ABA-2, ABA-3, ABA-4, ASA-5, S-ABA, ASA-C, ABA-C and many others which are served for the market of America, Europe, Australia, Asia, Africa and China and so on. What’s more, CNF has more than 2000 kinds of product varieties which correspond with the OEM No. of Bendix, Benz, Bpw, Daf, Dana, Gunite, Haldex, knorr, Man, Meritor, Renault, Ror, Saf, Scania, Volvo, ZF, Jinlong and Yutong, Dongfeng, etc. Furthermore, our products are suitable for buses and trucks of Benz, Daewoo, Hino, Hyundai, Kamaz, Kssbohrer, Iveco, Man, Neoplan, Nissan, Renault, Ror, Scania, Volvo, Jinlong and Yutong, etc. Our products are geared to the standard requirement of SAE 1462-94, and we strictly comply with the quality standard of ISO/TS 16949. Guangzhou CNF Truck Parts Co., Ltd. is a professional manufacturer and exporter of slack adjusters, with over 20 years of manufacturing experience with strong technical strength and innovative spirit. Customization: goods color, shape and package. Product range: 2000 kinds of products correspond with the OEM No. of Bendix, Benz, Bpw, Daf, Dana, Gunite, Haldex, knorr, Man, Meritor, Renault, Ror, Saf, Scania, Volvo, ZF, Jinlong and Yutong, Dongfeng, etc. 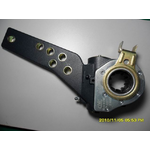 Application: suitable for all heavy buses and trucks of Benz, Daewoo, Hino and Hyundai etc. Quality: geared to the standard requirement of SAE 1462-94, strictly comply with the quality standard of ISO/TS 16949. Service: committed to providing products with High Quality, Competitive Price, High Guarantee and Nice-looking Appearance. We are looking for partners in the field of braking system. Market: global-North America, South America, Europe, Australia, Asia, Africa and China and so on. CNF is a supplier and manufacturer of slack adjusters in China. A wide range of products with goods quality here can serve all heavy trucks, buses and trailers all over the world.